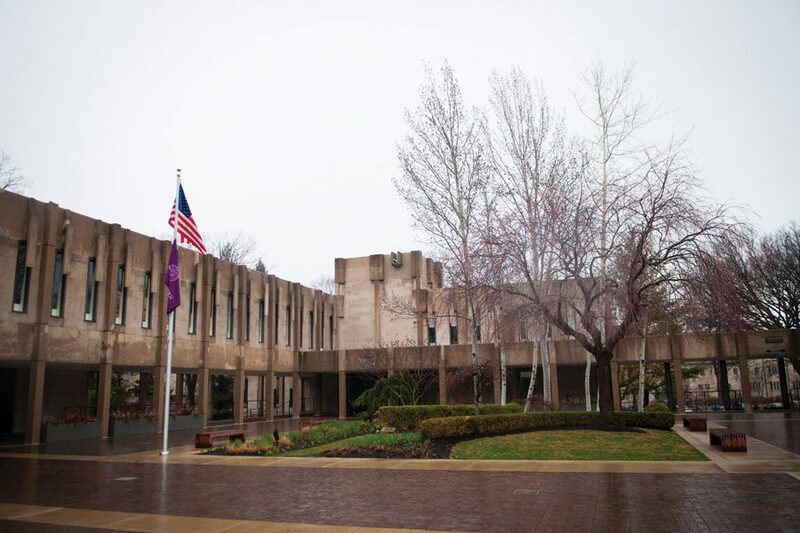 Rebecca Crown Center, home to the offices of the University Registrar and Provost. The two offices would be involved in a CTEC review process that faculty and students are calling for. A group of students, faculty and administrators are calling on Northwestern to conduct a review of its course evaluations, the first step toward what they hope will be a revamp of the system. Students and professors have long expressed concerns about the evaluations. Recently, student and faculty leaders met to discuss steps toward initiating a review process of the system. The proposed overhaul has the potential to transform the University’s academic functions, from how students choose classes to how professors assess their teaching and curriculum. Any review process or policy change would be overseen by Northwestern’s chief academic officer, Provost Jonathan Holloway. University Registrar Jaci Casazza, whose office collects and manages data on course evaluations, said she collaborated with Bennett Goldberg, assistant provost for learning and director of the Searle Center for Advancing Learning and Teaching, to submit a proposal to the Provost’s office. That proposal is currently under review, she said. Faculty Senate passed a resolution last week calling on the administration to conduct a review process, and Associated Student Government is working toward passing a resolution of its own. The University requires that students complete quarterly course evaluations administered by the Course and Teacher Evaluation Council. Students who do not complete the evaluations, commonly referred to as CTECs, are barred from accessing them while registering for classes the following quarter. The evaluations are used for a variety of reasons: In addition to class choice for students and course improvement for faculty, they are used by administrators in annual faculty reviews and for faculty tenure deliberations. But stakeholders have identified several problems they say make the system inefficient. For one, there is no committee that evaluates the CTEC system, only one that manages it, Casazza said. This also generates uncertainty over how access to the data is granted, she said. Claudia Swan, chair of the Faculty Senate educational affairs committee, said faculty are most concerned with the questions given to students. Professors are unsure how much weight is given to questions asking students to rank certain aspects of the class, such as how much students learn and overall class quality, she said. Qualitative questions are better, she added, but there are not enough. Meanwhile, students have raised their own concerns about the value of CTECs. Newly elected ASG President Sky Patterson ran on a platform that promised to address those concerns. One of her proposals would allow students who have dropped a class to submit their feedback as well. That way, those students can express reasons for dropping that could help professors foster a better and more inclusive learning environment, such as thoughts on the syllabus, course materials and professor conduct, she told The Daily. Given the rise in textbook prices, Patterson said CTECs should include information on required course materials, textbook prices and previous students’ ability to resell books. This way, the evaluations could be used as a tool to make NU more affordable for low-income students, she said. Reform efforts also address an issue that could compromise the validity of evaluations: bias. Several studies at other institutions have shown that female professors are systematically rated lower than their male counterparts in course evaluations, and others found that racial minorities are evaluated lower as well. Casazza said bias in NU’s CTEC system hasn’t been assessed, but included in her proposal a plan to conduct research on the issue. Even with a University study, the difference due to bias could be hard to identify, said Pritzker Prof. Michelle Falkoff, who wrote an article on the topic in The Chronicle of Higher Education last week. Falkoff said the problem with bias comes when CTECs are used to evaluate faculty for promotion, often to tenure status. While use of student evaluations differs across schools and departments, Falkoff said the law school considers other factors, such as class observations and informal conversations. Additional factors, such as the student’s performance in the class and perceptions of the professor, could also be cause for biased data, she added. While students and professors agree that change is needed, however, they will have to address a more deep-rooted issue about the use of CTECs. Varcie said he believes the primary role of CTECs should be to improve learning. While he agrees with many of the student proposals, Varcie said there will be lots of “conflict” between different interests. But those involved in pursuing CTEC reform were optimistic, saying there’s room to balance the benefits of both groups. Patterson said the best solution is one that balances and “optimizes” the benefits for students and faculty.